The abortion business Planned Parenthood managed to lobby enough Colorado lawmakers to defeat a bill Thursday that would have given women the chance to see an ultrasound of their unborn baby before deciding whether to have an abortion. The Colorado Statesman reports lawmakers in the Colorado Senate narrowly defeated the informed consent bill Thursday, after two Republicans joined all the Democrats to oppose it. Colorado Senate Bill 284 would have required abortion facilities to provide women with the option to see an ultrasound image of their unborn baby and have the image described to her. It also required that women receive information about alternatives to abortion and the abortion pill reversal option. In addition, it would have required a 24-hour waiting period between the woman receiving the information and the abortion procedure. Patients could choose not to receive the information. Abortion activists from Planned Parenthood and other groups lobbied hard against the bill. Senate Bill 284 might have passed had Democrats not forced the one-seat majority caucus members to go on record for or against the bill. Supporters of the bill … argued passionately on the floor before the vote that the bill was about providing more information to patients on a significant medical procedure. The arguments echoed those made in favor of the bill earlier in committee. After the vote Thursday, the abortion chain praised lawmakers for defeating the bill. “Planned Parenthood is glad to see the measure defeated, but the fact that it got to the Senate floor shows there is still an extreme faction in the Senate that is out of step with everyday Coloradans’ lives,” Sarah Taylor-Nanista, with Planned Parenthood Votes Colorado, said. For years, the abortion chain has been working against informed consent legislation, keeping women in the dark about their unborn babies and blocking them from hearing their baby’s heartbeat or seeing them on an ultrasound screen. These things help change women’s minds and often prompt them to choose life for their unborn babies. They also cut into Planned Parenthood’s bottom line. 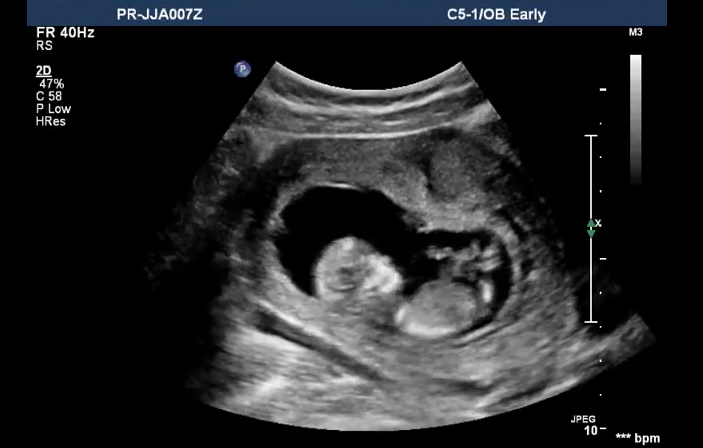 Ultrasounds provide valuable information to pregnant moms as they consider abortion. A survey by the National Institute of Family and Life Advocates found that 78 percent of abortion-minded or abortion-vulnerable women chose life after seeing an ultrasound image of their unborn baby. Most women (83.5 percent) also said the ultrasound had a positive impact on their decision to choose life for their baby. Hearing their unborn baby’s heartbeat also can impact a woman’s decision about her unborn child. Save the Storks recently shared the story of a woman who chose life for her baby after seeing her unborn child’s heartbeat. Last summer, Planned Parenthood sued Indiana to block its informed consent law, which requires that women receive an ultrasound at least 18 hours before having an abortion, as well as information about the abortion, its risks and alternatives, and fetal development. Earlier this year, it also sued Kentucky over a similar ultrasound law. LifeNews has published numerous stories of former patients and staff of Planned Parenthood who said the abortion chain lies to women.